Thank you for your interest in donating to the Marici Fellowship! 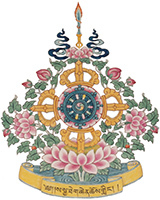 Your tax-deductible contribution will ensure the effective operations of the Marici Fellowship, a community outreach group hosted by the Sakya Monastery of Tibetan Buddhism. Our programs are intended to help those with greatest need in and around our community. Your contribution here will provide food, essentials and programs for those in need. You can submit a donation via PayPal using the button below. If you wish to arrange other payment methods, please email marici@sakya.org and we will be glad to help.